At Western Electric and Air, we understand the anxiety caused when a need for electrical work occurs. Not only are you concerned with the safety and protection of your household, but also you're concerned about finding an electrical contractor with expertise who will respect your personal rights and belongings. Our electricians have ongoing training. We believe our professional technicians need continuing education to best serve you. When we arrive at your home we will give you a price in writing. That way there will be no surprises. We strive to be on time every time. We will call before we arrive to let you know for sure. Our friendly technicians will always have a neat appearance and will be polite and respectful to you. They will keep your house clean and will even wear shoe covers. We want you to be satisfied with our services. When we have completed the work you have requested, the technician will review the services and products with you. He will be more than happy to answer any and all of your questions. 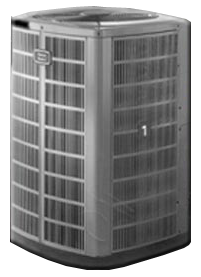 © Copyright 2009 Western Electric & Air Conditioning. All Rights Reserved. Website developed by Business Promotion Inc.